Petra is a disability culture activist, a community performance artist, and a widely recognized author. 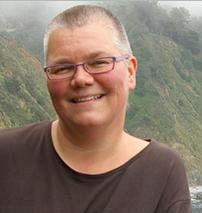 She is a professor at the University of Michigan, Ann Arbor, where she teaches performance studies and disability studies, and she is on the faculty of Goddard College MFA program in Interdisciplinary Arts. She is the Artistic Director of The Olimpias, an artists' collective that creates collaborative, research-focused environments open to people with physical, emotional, sensory and cognitive differences and their allies. Her book about The Olimpias arts-based research practices, "Disability Culture and Community Performance: Find a Strange and Twisted Shape," won the biennial Sally Banes Award from the American Association for Theatre Research. Marlon Barrios Solano a Venezuelan artist, researcher, consultant, educator, on-line producer/curator, video broadcaster and blogger based between in USA and Germany. He is the creator/producer/curator of dance-techTV, a collaborative internet video channel dedicated to innovation and experimental performing arts and its social network dance-tech.net. He has also conceived and developed the on-line interdisciplinary co-learning platform meta-academy.org. 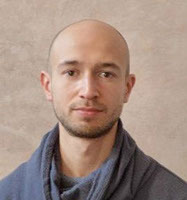 Since 2008, he has produced and published more than 400 online video interviews known as the “dance-tech interviews and views.” With a hybrid background on cognitive science, dance improvisation and new media arts he researches and explores the network technologies as participatory systems and collaborative practices within cultural production and education environments. He researches the affordances of the new internet for the development of open and collaborative models of knowledge production and distribution among trans-local artistic communities and organizational contexts. Currently, he is a guest lecturer and associated researcher at HZT Berlin, Germany. 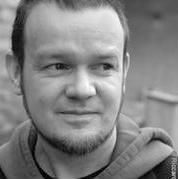 He has been research fellow at DanceDigitalUK and ICKAmsterdam (Holland). Andrea is an electronic musician, composer and sound designer. He studied Piano and Compostion at Conservatorio di Padova in Italy and Electronic Music at Cursus Annuel de Composition et Informatique Musicale IRCAM. He has produced music for choreographers such as Hervé Robbe, Edmond Russo, Shlomi Tuizer and J.C.Maillot. He is the creator of several audio art works for numerous large-scale projects around Europe including Innig, D-Day (Centre Georges Pompidou), NightRun and Reactive Ambient Music for the Fresnoy in Tourcoing. He has collaborated on research projects with IRCAM, Native Instruments, Renault and Notam. 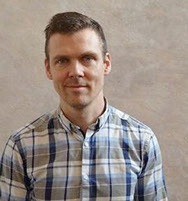 Andreas is a post doctoral researcher at Norwegian University of Science and Technology with a project entitled “Live-electronics in a performativity perspective”. Bergsland studied Musicology at NTNU with jazz bass as his instrument. After working as a school principal for 4 years, he developed an interest in electroacoustic music. Bergsland then received a 4-year research fellow position, culminating in a PhD entitled “Experiencing voices in Electroacoustic Music”. Bergsland has also been involved in compositions for exhibitions, installations, large scale multi-media events, in addition to doing live-electronics performances and working with computer instrument design for motion capture systems. 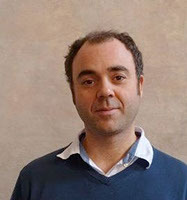 Pablo is an independent composer currently living in Madrid. His work has been focused on the transformation and perceptual connections of sonic images. He is an active composer for dance and performing arts receiving commissions from Palindrome, Staatstheater Mainz (Mainz, Germany), Maqamat Dance Theater (Beirut, Libanon) or Cisco Aznar (Switzerland), among others. He also collaborates with several conservatories, universities and institutions through publications, workshops and talks, divulging new perspectives and technologies in sound composition. Giacomo Lepri is a musician, sound designer and video artist. He studied piano and percussion specializing in the Afro-Cuban and Brazilian tradition as well as in Afro-American jazz practice. Since young age, he is also interested in electronics and informatics technologies applied to music. He was visiting student at the University of Edinburgh and he earned a BA degree in Electronic Music from the Conservatory of Genoa “N. Paganini”. His artistic activities mainly concern the interaction between music other arts and technologies, with particular regards to the sense of performativity, ensemble music practice and improvisation. As musician and performer he joined various projects related to musical theater, folk music, jazz and electroacoustic free improvisation. 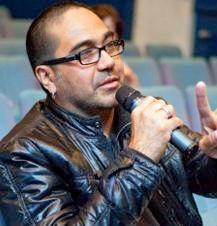 As composer and sound designer, among other activities, he collaborated with the international centre of research InfoMus in different cultural and scientific EU projects. As video artist, he presented his audiovisual compositions and installations in festivals around Europe. 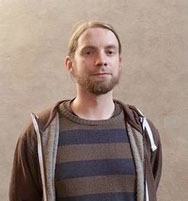 Currently his musical research focus on the development of multimedia systems, multimodal human-computer interfaces and applications for small ensemble performing free improvised music. Ives is a composer, musician and software engineer. He studies media art and electroacoustic composition at the SeaM/Bauhaus University Weimar in Germany. His interests ranges from algorithmic music and sonification to audio installation and sound design in general. His current work involves insect-controlled composition systems and he holds lectures and workshops for audio programming. He works in collaboration with several artists and is the cofounder of Hausdorf – a collective, netlabel and platform for experimental sound art. 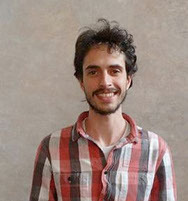 Marcello is a composer, a software engineer and free thinker specialized in interactive systems. Focal point of his work is the interaction between music and human movement, where body and computer are connected through a complex understanding of the body perception and dedicated interfaces. He produces computer music for audio-visual Performances, Dance, Theater and Live Electronics. He is co-founder of the Netlabel Fantomton and is based in Berlin.